It’s a no holds barred lovefest, and a return to pleasantries, in this episode of Chips & Bits. 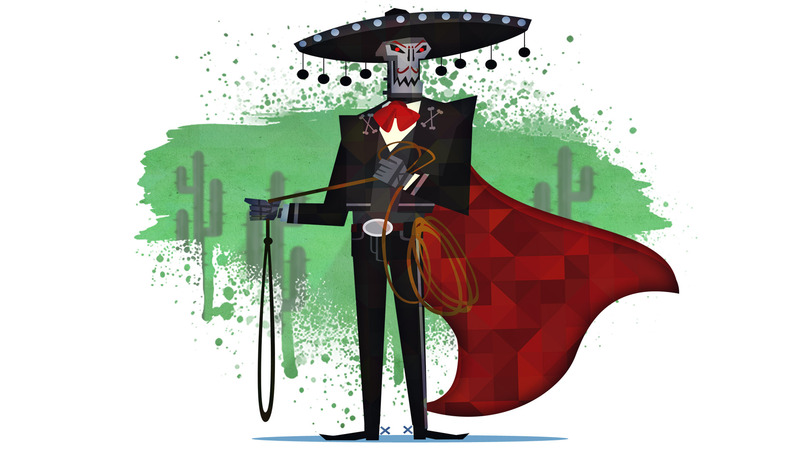 This month Matt and Kenny discuss Drinkbox Studios’ magical game Guacamelee!. A game they enjoy so much, that they forget the cold bitterness of previous podcasts, and bask in the warm sleeper hold of each other’s glowing review. With sincere apologies to Drinkbox Studios for murdering their name. Repeatedly. Also, special thanks to egg1111115 for his musical contribution this week. 01:30 There is a box involved, but it’s Drinkbox Studios. 03:19 Death Guy aka Carlos Calaca. 05:01 At least we got Juan right! 06:23 We make a reference to this very note before it even existed. Also, something about a Metroid video. 08:48 You should never eat this taco. 12:16 Here is just one example of an insanely, incredibly hard Super Meat Boy level. 16:21 Check out Flame Face being stupid. 19:36 You’ll run across the hilarious Choozu statues several times throughout the game. 20:24 Watch Juan break one of the aforementioned statues, then witness the wonderful Goat animation. Watch the entire clip for a free spoiler of the greatest power name ever! 22:04 We discuss the most difficult section in the entire game – the Tree Tops. 22:45 Welcome to the dojo of the great Combo Chicken! 26:20 The penultimate list of Guacamelee! references via Kotaku. 26:51 We blew it – still Drinkbox Studios.